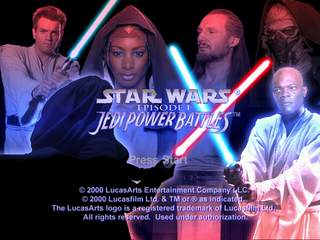 Star Wars: Episode I Jedi Power Battles is beat-'em-up game based on Star Wars Episode I: The Phantom Menace. It was released for the Sega Dreamcast. Main article: Star Wars: Episode I Jedi Power Battles/Magazine articles.